Now I know where the saying, “Easy as pie,” comes from. Tonight, I baked my very first apple pie. I didn’t have all the ingredients to follow a recipe, so I just winged it. Here it is cooling on the kitchen counter. I can hardly wait to taste it! I’ll be sure to update with a comment on how great it tastes. tossed everything together and spread into a store bought pie crust. Take another pie crust and smooth over the top, tucking and foling leftover edges up on top and not around the sides of the pan. P.S. This was my first blog post from the wordpress ap from my phone. Posted on November 23, 2014 by MamaRupp	• This entry was posted in Uncategorized. Bookmark the permalink. Yay! Well done! 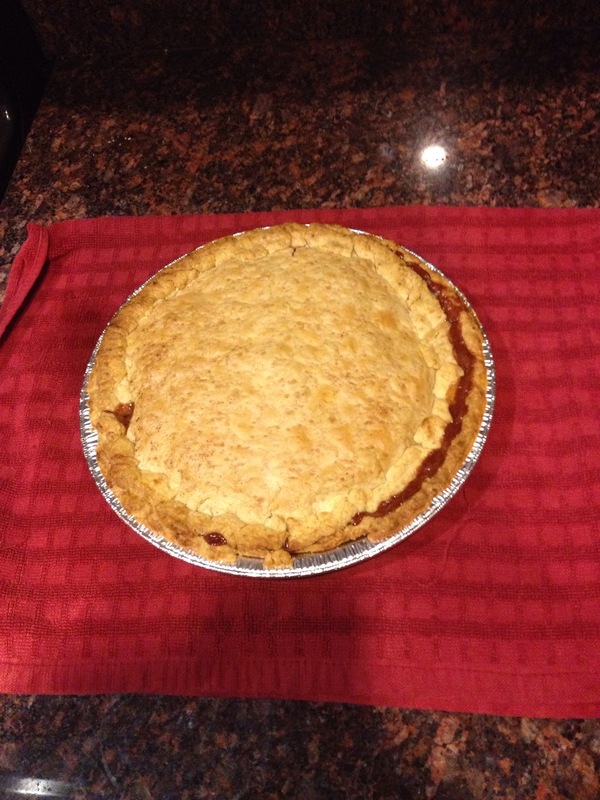 I’ve never made an apple pie in my life, but now I feel like eating some….